Serving her fourth term as Trustee, Grace has made grand contributions to ASP. A physical therapist by training but a copy center entrepreneur by profession, this woman of many talents is an invaluable resource to ASP. Her down-to-earth and magnetic appeal as ASP’s Auditor makes her one of the best facilitators of Early Detection and Intervention Program and SM Autism Orientation. 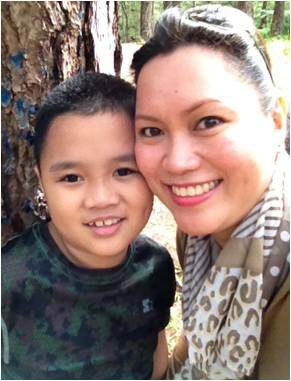 Grace is “face of ASP mom.” Her photos with her 11 year old son, Adrian, appear on ASP marketing collaterals. She brings encouragement to mothers that life with autism can be exciting, giving smiles of hope to other families.